3 in 1 SIM card nano/micro/mini fits all devices! Our Data SIM Cards works in all of Europe, most of Latin America plus dozens of other international destinations (see coverage below) and are the perfect solution for travelers who need high speed data for their smartphone, tablets, mobile hotspot or any other Wi Fi enabled device. This is the perfect solution for the traveler who wants to stay in touch with the home or office, use Google Maps, check emails, Skype, use Facetime or WhatsApp and stream videos. We offer 3 variations; a 5GB SIM that lasts for up to 30 days, a 12GB SIM that lasts for up to 30 days and a 12GB SIM that is good for up to one year. 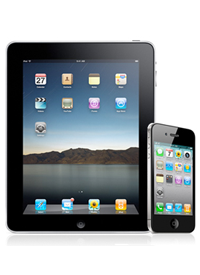 The service is plug and play which means that you simply insert it in your device and start using it. The data SIM cards are 3-1 SIM card format (standard, micro or nano) and therefore will fit in any unlocked phone or tablet. All Verizon LTE phones are unlocked, most other carrier's phones such as AT&T, Sprint and T-Mobile are locked. If your service is with AT&T, Sprint, T-Mobile or another carrier, please check with them to see if your phone is unlocked or can be unlocked. If you purchased your iPhone directly through Apple, it is unlocked. The SIM card comes with a UK cell phone number which allows you to receive unlimited FREE incoming calls and texts in any of the 71 destinations where the SIM card works. If you are going to Europe, you will also have unlimited calls and texts to European numbers. However, while you can receive calls and texts for free, in order to make international calls TO the USA, Canada or anywhere else outside of the EU, you must use a calling app that relies on data. We recommend Skype, Google Voice, Vibr or WhatsApp. With Skype, you can make unlimited calls to a landline or a cell phone for just $2.99 for a month of usage. There are also numerous other plans that are available from Skype. If you need to text, we recommend using a texting app such as WhatsApp or iMessage. Texting using a data app consumes very little data and hence is practically free. In addition to the UK phone number that already comes with your new data SIM card, you can add on a US phone number. This makes it practical and affordable for North American friends and family to reach you without having to dial an international number. In addition, you can forward you current phone number to the new US number you add on in order to retain your usual cell phone number. This is particularly convenient for business travelers. Leisure travelers tend not to forward their usual phone numbers to the new one, rather, they usually just give out the new number to a select few of their contacts. The choice is yours. This add-on is available in the cart for $19 and is called the US Number Add-on and is valid for up to 2 months per each $19 add-on. The Data SIM is very easy to use. Simply put it into your unlocked smartphone, tablet or hotspot and start using your device for data. As the SIM is plug and play, there is no configuration or activation procedure to follow. There are no contracts to sign, no monthly bills to pay, no hidden fees and no difficult plans to understand. Once you start using the data SIM card, you will have 30 days of usage or 5GB or 12GB of data, depending on the SIM card you purchased. Using your own, dedicated data SIM card is much faster, convenient and secure than finding a Wi Fi hotspot. Many hackers target tourists when traveling so that they can access vital information such as online bank passwords which is not what you want to happen when overseas. *All Verizon LTE phones are unlocked. Most AT&T, T-Mobile and Sprint phones are carrier locked. You may be able to unlock them for use with our International Data SIM Cards. Please check with your carrier. Tip: If your carrier cannot unlock your current device because it is still not paid for, they may be able to unlock your previous device, provided you still have it available. I purchased the 12GB version of the SIM, which supported my heavy internet browsing and app using. I used it to Facetime very frequently back home and the minutes included in Europe really helped to facilitate meeting spots and for making plans with our friends. The coverage was great, it worked perfectly in all the countries we visited in Europe. I will definetly buy this again next time I go back to Europe! Particularly good for having loads of data throughout Europe. I thought that Europe would be better connected with WiFi but, with the exception of parts of Germany, this was not the case! Luckily I was able to stick this SIM into my portable router. Very good coverage all over Europe! I got this data SIM card for my son who traveled all over Europe last summer. This product was a Godsend! He was able to stay in touch with his nervous mom (me!) for the entire month that he was away for a lot less expensive than AT&T wanted to charge us. Very patient customer service as well at Cellular Abroad. I will be trying this out myself. Very easy to use. I had very good service driving around France. Only once did I experience an issue with coverage and that was in my hotel room in, of all places, Paris! Worked fine outside the hotel. I would highly recommend this product. Verizon would have cost me about $300 for the same thing. Good throughout my Europe travels. This worked well traveling in Brussels, Berlin, Amsterdam, Zandvoort, and Madrid. Was disappointed the service was all 3G or less with no LTE but the speeds on 3G were mostly sufficient and usable. Would give 5 stars otherwise. Easy to use - plug and play. If you need a convenient, secure and affordable way to have data connectivity for your smartphone or tablet, a Cellular Abroad data SIM card is the easiest way to do so and is also much less expensive than roaming with Verizon, T-Mobile, Sprint, AT&T or other carriers. In addition, since the service is pay as you go, you do not risk incurring a huge roaming bill. Why don't I just use wifi? WiFi is typically slow, never secure and seldom convenient. If you rely on apps such as Google Maps, it is not feasible to track down a Wi Fi connection. When you are on the go is typically when you need to access data the most and if there is one thing that can spoil a trip is not having immediate access to the internet, particularly when you are trying to research a restaurant or buy museum tickets online. Can I get a standard, micro or a nano SIM card? Yes. The SIM card is 3-1 meaning that you can snap out the size that you need. Please make sure what size you need to snap out for your device prior to snapping out the SIM card or you may have to purchase a SIM card adapter to resize it to the proper size. How to I activate my SIM? Put it in your device. It's that simple! Can I add additional data? The data Sim card gives you unlimited service (up to 12GB) per 30 days. If you need more than 12GB of data or more than 30 days of data service, please purchase an additional SIM card. 12GB of data is approximately 300 hours of Google Maps, 50 hours of videos, 100,000 emails. When you add an additional 30 day 12GB bundle from the continuation page the item that checks out to the cart still says 12GB, please update to 12GB. If your trip is longer than 30 days, add an additional 30 day bundle with 12GB of data and unlimited calls and texts to EU numbers. You will receive a text message that will confirm activation along with a link where you can register your SIM in order to checking your usage and balance. Please note that you are not obligated to register your SIM - this is simply for your convenience to check usage. The credit is good for one month or one year, depending on what version of the SIM card you get. How much data do I get and will it be enough? 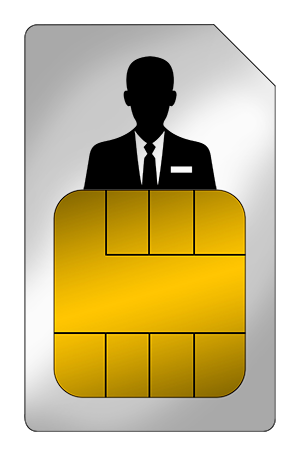 You can order a data SIM card at any time prior to your departure or even during your trip. However, if you order it 2 weeks or more before your trip, you can take advantage of the free shipping.